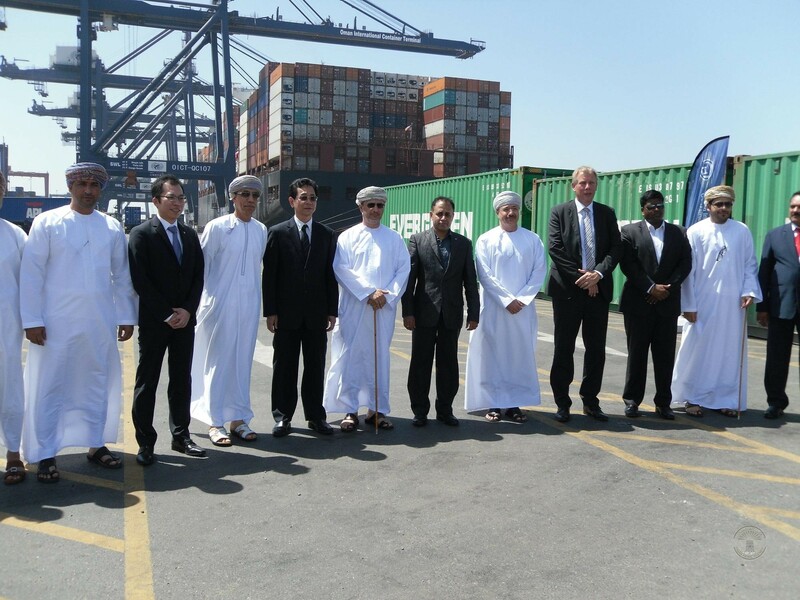 SOHAR Port and Freezone celebrated the continued rapid growth of the port as it welcomed the recent inaugural call of the container vessel ‘Messini’. The new service, in partnership between Evergreen and Simatech, will now regularly connect SOHAR Port with other major ports in South Asia. The new line is an important addition as it broadens the connectivity of SOHAR with the world and will offer even more choice for Omani importers and exporters. Attending the welcome ceremonies at the quayside ahead of the arrival of the vessel were were HE Sultan Bin Salim Al Habsi, Chairman of the Board of Sohar Industrial Port Company (SIPC); HE Said Bin Hamdoon Bin Saif Al Harthy, Undersecretary of the Ministry of Transport and Communications for Ports and Maritime Affairs; SOHAR Port and Freezone CEOs Andre Toet and Jamal Aziz respectively; Albert Pang, the CEO of Oman International Container Terminal (OICT); as well as representatives of the Evergreen and Simatech shipping lines.